Kedarnath actor Sushant Singh Rajput is well known for his good heart, recently he donated Rs 1 cr to Kerala floods relief funds for the flood victims. However, once again the Welcome to New York actor proved that he is not the only hero in reel life but also a hero in real life. 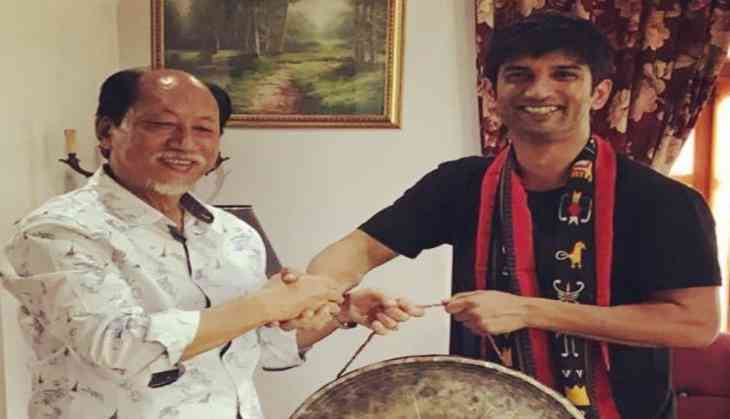 On Tuesday,Sushant Singh Rajput visited the flood-ravaged state of Nagaland and met with Chief Minister Neiphiu Rio and has reportedly donated Rs 1.25 crore to help in relief efforts and provided aid to the region. As per media reports, in the devastating floods, over 50000 people have been affected by the floods and the state government has estimated that Rs 800 crore would be required to help restore the region. The CM Rio had written a plea for help on social media. Thank you Sir for your precious time. We,with our full force and determination would work incessantly till the time our #Nagaland is perfectly restored. And this wonderful Gong does make a wonderful sound of friendship. Sushant Singh obliged by donating Rs 1 crore in the fan’s name. “As promised, my friend, @subhamranjan66, what you wanted to do, has been done. You made me do this, so be extremely proud of yourself. You delivered exactly when it was needed. Lots and lots of love. Fly. Cheers,” Sushant captioned his post, adding the hashtag, ‘My Kerala.’"
Sushant Singh Rajput will next be seen director Abhishek Kapoor’s Kedarnath, in which based on human beings persevering during a natural disaster, specifically the 2013 North India flash floods.